Nina Rapi is an award-winning, bilingual playwright (English-Greek). She is also a short story writer (her latest collection is State of Fugue). Her plays include: (Un)certainties/(Α)βεβαιότητες, Splinters, Angelstate; Wild Beats/Άγριες Νότες; Kiss the Shadow; Reasons to Hide; Edgewise/Ακροβασία; Lovers; Dreamhouse; Dance of Guns; Ithaka, as well as a number of shorts. Her plays have been produced or presented as staged readings at venues such as: Southbank Centre (London Literature Festival), Soho theatre studio, Lyric studio, Tristan Bates (Modern Greek Plays Festival/TheatreLab), ICA, Riverside studios, Gielgud theatre/West End Shorts/New Play Festival (London). National theatre, Theatro Technis, Theatre of Piraues (Festival Analogion);Τheatro Empros (Queer Festival) (Greece); India (Pirani, BITS Festival); Portugal (Estaca Zero Teatro, 10X10 Festival). She is the recipient of two Arts Council writing awards, a group award (Raymond Williams), a Best Play Award (BITS Festival, India), High Recommendation (Future Perfect competition). She has also been shortlisted in numerous competitions, including BBC international short story competition. Most recently, in 2017-2018, her new play (Un)certainties was presented at the Theatre of Piraeus. 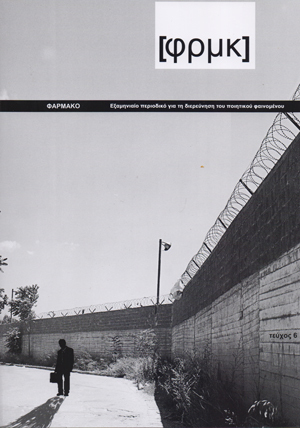 Splinters was produced in Athens and Thessaloniki and published by Sokolis Publishers; it was also produced at the University of Oxford by Praxis. Her libretto Raven Revisited was performed at Theatro Voyiatzis (the opera in a shorter version was also performed at Onassis Cultural Centre in 2014). And The Oberon Anthology of Contemporary Greek Plays was published in the UK, including her play Angelstate. Essays on her work by other writers and essays by her on aesthetics and sexuality have been published by Cambridge University Press, Routledge, Mimesis Edizioni, Cambridge Scholars Publishing, Harwood Academic Press, Oberon, Sokolis. She has taught Creative Writing at the Universities of London and Greenwich for many years. She is also the founding editor of Brand Literary Magazine. She has lived in London most of her life but has now returned to Greece and lives in Athens. SYN_ENERGY BERLIN_ATHENS is a project by Lettrétage e. V. and Diablog Vision e. V., coordinated and curated by Dr. Michaela Prinzinger and Linde Nadiani. The project is supported by the Hauptstadtkulturfonds and the Stavros Niarchos Foundation.